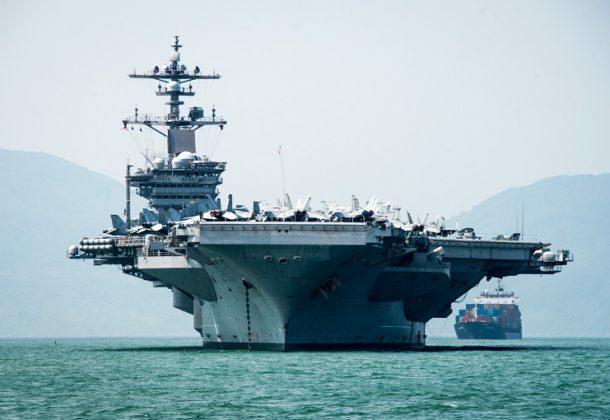 The House late last week passed its version of the $675 billion defense appropriations bill, reports Defense News, with plans to buy two aircraft carriers at a time but without a proposal to buy two more submarines. The bill also would fund 93 F-35s, three littoral combat ships and the Advanced Battle Management System, which would replace the JSTARS recapitalization plan that the US Air Force wants to kill. The Senate Appropriations Committee approved a spending bill Thursday that would order more study before the Trump administration can get a new low-yield, tactical, submarine-launched nuclear weapon that it wants, reports Defense News. DefSec Jim Mattis says the US will maintain its current number of troops on the Korean Peninsula, even as nuclear negotiations continue with North Korea, reports Military Times. Russia and China are developing new space-based weapons and they’ll be ready “in the near future,” Lt. Gen. Robert Ashley, head of the Defense Intelligence Agency, said last week, reports Defense One. He was speaking at the Defense One Technology Summit in Washington, DC. NAVAIR is looking for defense contractors to install jam-resistant GPS antennas on 120 F/A-18C/D Hornets, reports The Drive. This could be a useful upgrade for the aging jets. A Navy plan will require more school for new surface warfare officers before they report to their first ships, institute a new testing regime through major commands, and shape the career path so the officers spend more time at sea, reports USNI News. This comes after last year’s fatal destroyer collisions. KBRwyle engineer Freddie Lee was named the 2017 Army Contractor Tester of the Year, reports The Virginian-Pilot. The award was presented to Lee at the 33rd annual National Test and Evaluation Conference held recently in Solomons. Boeing is looking at new customers for the P-8 Poseidon anti-submarine and reconnaissance aircraft, reports Investor’s Business Daily. South Korea recently signed a $1.71B contract, and company officials say New Zealand is considering buying four of the aircraft. Breaking Defense reports Australia has spent billions on new surveillance planes, drones, and warplanes in recent years, but no deal has come close to the $26B contract to BAE Systems for nine anti-submarine frigates. A US Navy order announced last week that Boeing will build 28 new F/A-18E/F Super Hornets for the government of Kuwait, reports Military & Aerospace Electronics. The contract is for $1.5B. Germany is considering different aircraft — F-35, F-15 Eagle, F/A-18E/F Super Hornet and an upgraded Eurofighter — to replace its aging 85 Tornados, reports The National Interest. It is believed the US would prefer that country to select the F-35A. The US Air Force has suspended all light attack aircraft flying operations as it investigates the cause of a June 22, 2018, fatal crash in New Mexico, reports Defense news. Federal News Radio reports that in the wake of another Air Force fatality, the service contends readiness is improving. Air Combat Command chief Gen. James Holmes said readiness improvements are starting to pay off in personnel, but equipment issues are not there yet. Raytheon Space and Airborne Systems, Goleta, California, is awarded an $80,286,703 indefinite-delivery/indefinite-quantity contract for systems engineering services for software development and system integrity services in support of F/A-18A-D and E/F aircraft for the Navy and the governments of Australia, Canada, Kuwait, and Switzerland. Services to be provided include enhancing the Operational Flight program, the User Data File (UDF), the UDF Generator, firmware, and tool development in support of ALR-67(V)3 and ALE-50B systems. Work will be performed in Point Mugu, California (90 percent); Goleta, California (3 percent); China Lake, California (1 percent); St. Louis, Missouri (1 percent); Lexington Park, Maryland (1 percent); Clifton, New Jersey (1 percent); Nashua, New Hampshire (1 percent); Interlaken, Switzerland (1 percent); and Adelaide, Australia (1 percent), and is expected to be completed in June 2023. Fiscal 2018 operations and maintenance (Navy) funds in the amount of $7,200,000 are being obligated at time of award, all of which will expire at the end of the current fiscal year. This contract was not competitively procured pursuant to Federal Acquisition Regulation 6.302-1. 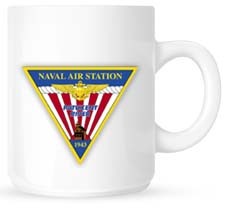 The Naval Air Warfare Center Weapons Division, Point Mugu, California, is the contracting activity (N68936-18-D-0025). NCI Information Systems Inc., Reston, Virginia, was awarded a $45,760,099 cost-plus-fixed-fee contract for information technology services for cyber network operations and security support. One bid was solicited with one bid received. Work will be performed in Fort Huachuca, Arizona, with an estimated completion date of June 30, 2019. Fiscal 2018 operations and maintenance, Army funds in the amount of $45,760,099 were obligated at the time of the award. US Army Contracting Command, Aberdeen Proving Ground, Maryland, is the contracting activity (W91RUS-18-C-0017). Huntington Ingalls Industries, Newport News Shipbuilding Inc., Newport News, Virginia, is awarded a not-to-exceed $200,446,196 undefinitized fixed-price, incentive firm target modification to a previously awarded contract (N00024-16-C-2116) for the purchase of additional long lead time material in support of USS Enterprise (CVN 80). Work will be performed in Newport News, Virginia, is expected to be completed by February 2027. Fiscal 2018 shipbuilding and conversion (Navy) funding in the amount of $200,446,196 will be obligated at the time of award and will not expire at the end of the current fiscal year. This contract was not competitively procured. The statutory authority for this sole-source award is in accordance with Federal Acquisition Regulation 6.302-1(a)(2)(iii) – only one responsible source and no other supplies or services will satisfy agency requirements. The Naval Sea Systems Command, Washington Navy Yard, Washington, District of Columbia, is the contracting activity. Science Applications International Corp., Reston, Virginia, is awarded a potential value $116,232,173 indefinite-delivery/indefinite quantity, cost-plus-fixed-fee contract to provide sustainment support of integrated afloat and ashore tactical networks. This three-year contract includes one two-year option period which, if exercised, would bring the overall, potential value of this contract to an estimated $196,526,884. Work will be performed aboard Navy ships and Department of Defense installations and facilities worldwide by Space and Naval Warfare Systems Command (SPAWAR) Systems Center Pacific in San Diego, California (60 percent); and SPAWAR Systems Center Atlantic in Norfolk, Virginia (40 percent). Work is expected to be completed June 27, 2021. If the option is exercised, the period of performance would extend through June 27, 2023. No funds will be obligated at the time of award. Contract funds will not expire at the end of the current fiscal year. Funds will be obligated as orders are issued using primarily other procurement (Navy); and operations and maintenance (Navy). This contract was competitively procured via a request for proposal published on the Federal Business Opportunities website and the SPAWAR e-Commerce Central website. Three offers were received and one was selected for award. The Space and Naval Warfare Systems Center Pacific, San Diego, California, is the contracting activity (N66001-18-D-0023). Didlake Inc., Manassas, Virginia, is awarded a $9,716,516 modification under a previously awarded indefinite-delivery/indefinite-quantity contract (N40085-15-D-0083) to exercise option three for annual custodial services at Norfolk Naval Shipyard and Joint Expeditionary Base Little Creek – Fort Story. The work to be performed provides for annual custodial services, including, but not limited to, all management, supervision, tools, materials, supplies, labor, and transportation services necessary to perform custodial services for office space, restrooms, and other types of rooms. After award of this option, the total cumulative contract value will be $34,044,718. Work will be performed at various installations in Virginia Beach, Virginia (77 percent); and Portsmouth, Virginia (23 percent). Work is expected to be completed June 2019. No funds will be obligated at time of award. Fiscal 2017 operations and maintenance (Navy) contract funds in the amount of $9,585,850 for recurring work will be obligated on individual task orders issued during the option period. The Naval Facilities Engineering Command, Mid-Atlantic, Norfolk, Virginia, is the contracting activity. Northrop Grumman, Linthicum Heights, Maryland, has been awarded a $35,093,943 cost-plus-fixed-fee contract for Arrays at Commercial Timescales IV program. This contract provides for development of an advanced ground-based demonstration antenna with a software mode development kit. Work will be performed in Linthicum Heights, Maryland; and Wright-Patterson Air Force Base, Ohio, and is expected to be complete by November 2020. This award is the result sole-source acquisition. Fiscal 2017 research and development funding in the amount of $4,039,058; and fiscal 2018 research and development funds in the amount of $9,300,000 are being obligated at the time of award. Air Force Research Laboratory, Wright-Patterson AFB, Ohio, is the contracting activity (WPAFB, OH, FA8650-18-C-7841). Goodwill Services Inc., Richmond, Virginia, has been awarded a maximum $10,350,000 fixed-price contract for base supply and pharmacy system services. This is a one-year base contract with two one-year option periods. Maximum dollar amount is for the life of the contract, including options. Location of performance is Virginia, with a June 30, 2021, performance completion date. Using customer is Defense Logistics Agency Aviation. Type of appropriation is fiscal 2018 through 2020 defense working capital funds. The contracting activity is the Defense Logistics Agency Contracting Services Office, Richmond, Virginia (SP4703-18-C-0509). Sprint Federal Operations LLC, Reston, Virginia, was awarded a firm-fixed price contract modification for the Defense Information Systems Network European Optical Network Enhancement at Royal Air Force Lakenheath and Link 102 on contract HC1047-15-C-4000. The face value of this action is $7,085,472, funded by fiscal 2018 defense working capital funds. The total cumulative face value of the contract is $215,700,000. Performance will be at various locations within Europe. This modification and the original solicitation were issued on the basis of other than full and open competition, pursuant to 10 US Code 2304(c)(1), only one responsible source and no other type of supplies or services would satisfy agency requirements. The period of performance is a one year base period with nine one-year option periods. The contract is in Option Period Three, Oct. 1, 2017- Sept. 30, 2018. The Defense Information Technology Contracting Organization, Scott Air Force Base, Illinois, is the contracting activity (HC104715C4000P00023). Northrop Grumman Systems Corp., Herndon, Virginia, is awarded a $96,531,053 firm-fixed-price, cost-plus-fixed-fee modification to a previously awarded contract (N00024-17-C-6327) to exercise options for the Joint Counter Radio-Controlled Improvised Explosive Device Electronic Warfare Increment One Block One systems full-rate production in support of the Expeditionary Warfare Program Office (PMS 408). This option exercise is for Counter Radio-Controlled Improvised Explosive Device Electronic Warfare (CREW) systems that provide combat troops protection against radio-controlled improvised explosive devices (RCIEDs). CREW systems are designed to provide protection for foot soldiers, vehicles and permanent structures. The Joint CREW Increment One Block One system is the first generation system that develops a common open architecture across all three capabilities and provides protection for worldwide military operations. This integrated design maximizes commonality across all capabilities, reduces life cycle costs and provides increased protection against worldwide threats. Work will be performed in San Diego, California (97 percent); and Sierra Vista, Arizona (3 percent), and is expected to be completed by April 2020. Fiscal 2016 and 2017 other procurement (Air Force); fiscal 2017 and 2018 other procurement (Navy); fiscal 2018 research, development, test and evaluation; and fiscal 2018 operations and maintenance (Navy) funding in the amount of $96,531,053 will be obligated at time of award and $1,196,285 will expire at the end of the current fiscal year. The Naval Sea Systems Command, Washington, District of Columbia, is the contracting activity. Northrop Grumman Systems Corp., Annapolis, Maryland, is awarded a $14,304,010 firm-fixed-price, cost-plus-fixed-fee modification to a previously awarded contract (N00024-15-C-6320) to exercise options for the fabrication, testing, production and delivery of AN/AQS-24C mine hunting sonar systems. The AN/AQS-24C system provides high-speed capability to detect and classify volume (moored) mines while simultaneously hunting bottom mines. The 24C system modification integrates ahead-looking topographic large area survey (ATLAS) volume search sonar capability and associated minehunting software into the AN/AQS-24B configuration. The system is deployed from the MH-53E Sea Dragon helicopter. Work will be performed in Annapolis, Maryland (83 percent); and Panama City, Florida (17 percent), and is expected to be completed by June 2021. Fiscal 2017 and 2018 other procurement (Navy) funding in the amount of $14,304,010 will be obligated at time of award and will not expire at the end of the current fiscal year. The Naval Sea Systems Command, Washington, District of Columbia, is the contracting activity. APTIM Federal Services, Alexandria, Virginia, is awarded $13,594,868 for firm-fixed-price task order N6247318F4761 under a previously awarded environmental multiple award contract (N62473-17-D-0006) for Parcel E Remedial Action Phase II at Hunters Point Naval Shipyard. Work will be performed in San Francisco, California, and is expected to be completed by June 2021. Fiscal 2018 base realignment and closure environmental (Navy) contract funds in the amount of $13,594,868 are obligated on this award and will not expire at the end of the current fiscal year. Four proposals were received for this task order. The Naval Facilities Engineering Command, Southwest, San Diego, California, is the contracting activity. Five Directions Inc., Columbia, Maryland, is awarded a $7,432,710 firm-fixed-priced contract for research and development of data-driven cyber hunting tools for real-time cyber threat detection, characterization, and protection with enterprise-scale networks. This four-year contract includes optional taskings valued at $2,362,857. Work will be performed at the contractor’s facility in Columbia, Maryland, and work is expected to be competed June 28, 2022. The optional taskings will not extend the period of performance. Research, development, test and evaluation (Navy) funds in the amount of $571,873 will be obligated at the time of award. This contract was competitively procured via publication on the Federal Business Opportunities website, 45 offers received and 11 selected for award. The Space and Naval Warfare Systems Center Pacific, San Diego, California, is the contracting activity (N66001-18-C-4034). SOS International, Reston, Virginia, was awarded a $78,198,375 firm-fixed-price contract for intelligence technical support services in Europe. Bids were solicited via the Internet with five received. Work locations and funding will be determined with each order, with an estimated completion date of June 29, 2018. US Army 409th Combat Support Battalion, Kaiserslautern, Germany is the contracting activity (W564KV-18-D-0001). Carahsoft Technology Corp., Reston, Virginia, was awarded a $24,300,000 modification (BA06 12) to contract W91QUZ-09-A-0003 for software maintenance against VMware products. Work will be performed in Fort Belvoir, Virginia, with an estimated completion date of March 31, 2019. Fiscal 2018 operations and maintenance (Army) funds in the amount of $24,300,000 were obligated at the time of the award. US Army Contracting Command, Rock Island Arsenal, Illinois, is the contracting activity. Argo Turboserve Corp., Virginia Beach, Virginia, has been awarded a $7,101,748 firm-fixed-price contract for rotor and shaft extensions. This was a sole-source acquisition using justification 10 US Code 2304(c)(1), as stated in Federal Acquisition Regulation 6.302-1. This is a one-time buy with no option periods. Locations of performance are New York; and Virginia, with a June 9, 2020, performance completion date. Using military service is Navy. Type of appropriation is fiscal 2018 Navy working capital funds. The contracting activity is the Defense Logistics Agency Land and Maritime, Mechanicsburg, Pennsylvania (SPRMM1-18-C-HX01). NetCentrics Corp., Herndon, Virginia, has been awarded a $10,696,142 firm-fixed-price/time–and-materials hybrid contract. The contract is to obtain Joint Service Provider Information Technology Service Delivery support services for Washington Headquarters Services (WHS), WHS supported organizations, the Office of the Secretary of Defense, and Pentagon Force Protection Agency. Work performance will take place in the national capital region, including Arlington, Virginia; and Alexandria, Virginia. Fiscal 2018 operations and maintenance funds in the amount of $10,696,142 are being obligated on this award. The expected completion date is Nov. 30, 2018. Washington Headquarters Services, Arlington, Virginia, is the contracting activity.